As you can see in the picture, all the protection was gone, the tissues were tore apart and also some clothes that I had inside got damaged. The first thing that I did was going to the proper counter, where an employee filled out a reclamation form for me and assured me that they would give me another backpack in a couple of days...guess what? No one showed up since then, nobody ever cared to reply to my emails and answer the phone. So I called Turkish Airlines’ costumer care, and someone told me to bay a new backpack and new clothes and send them the invoice to get a refund from them. I also had to fill in a form from their web page…. guess what? The form doesn’t work, and I’m not going to buy a new backpack until they give a written confirmation that they are willing to refund me. Then I contacted the airline via facebook, they said they would get in contact with me as soon as possible…. Guess what? No news. Last, I contacted the Italian branch of the company...guess what? Still no news. As I had to go on with my journey I desperately needed a backpack, but I didn’t want to waste time and money to buy a new one , so I just bought a handkerchief and sewed it over the damaged part...This is what I call problem solving :-), I now appreciate all that sad years spent at the elementary school with the nuns, at least I learned how to sew. Of course this is just an emergency resort, I hope I will get a reply from the airport or the company, I find this situation totally disgusting, I will keep you updated. 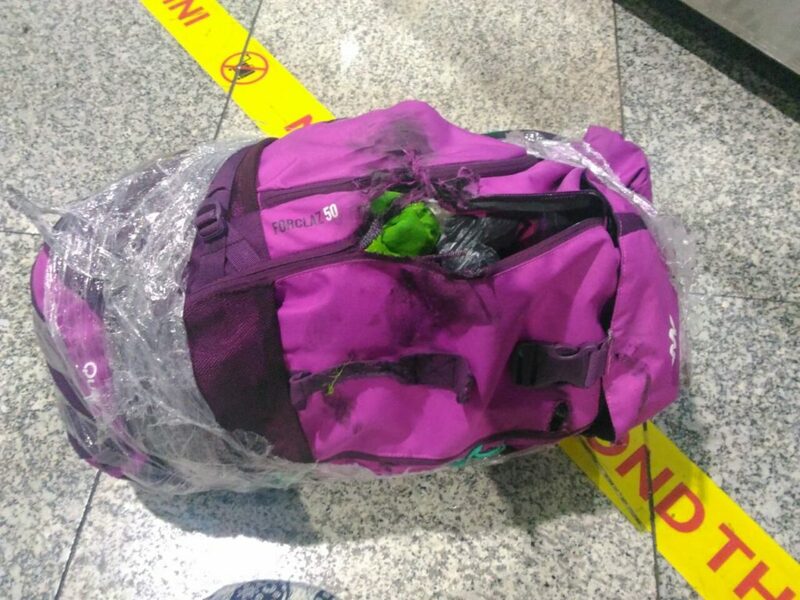 UPDATE: just got a call from Turkish Airlines...they are going to give me another backpack but just if I am in Kuala Lumpur.... guess what? I'm not there anymore. I've asked for a money refund, no news till now. Have you ever had problems like this? What happened? Any advice? After weeks and weeks of messages, letters and phone calls I got 60 dollars from Turkish Airlines as a compensation for the damage!